Today we talk with Isabella Biava about her hometown sunny Cancun, in Mexico, for the latest in this ‘Interview with a Local’ series. Isabella is now a full-time traveller blogger at www.boundlessroads.com which she has been developing for the last 2 years. Her focus is mostly on countries where she has lived and travelled extensively such as the Carribean and Mexico. She also writes about travel for vegetarians and inspirational travel stories. Speaking of inspirational stories have you read my latest post on travel health?! You will find 10 of them! 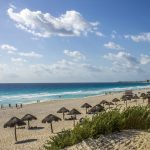 2 What is your favourite thing about Cancun? 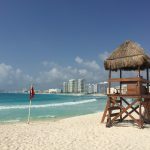 3 What is your favourite thing to do in Cancun with a day off? 4 What in your opinion is the one thing you can’t miss when you visit Cancun? 5 Any top tips where to go/ what to do on a rainy day? 6 Where is your go-to restaurant? 8 Is there one thing not many people know about Cancun? I have lived in Cancun for 7 years working as a contracting manager for an international travel wholesaler. It was an amazing period of my life spent between Cancun and the Caribbean islands where I was travelling for business purposes. When I wasn’t travelling I had a very quiet and healthy life in the most touristic city of the Yucatan Peninsula. Oddly enough I didn’t take advantage of the touristic attractions as I am not a fan of crowded places and nightlife. I did take advantage of the amazing beach that Cancun offers though, and the turquoise crystal clear waters. In Cancun there is a huge yoga and holistic therapies community and I dove into it big time. I used to jog a lot along the coast in the Zona Hotelera. What is your favourite thing about Cancun? Cancun offers a variety of things to do and it’s apt for many types of traveller. Whether you are a party lover or a peace seeker, you will find what you are looking for there. That versatile aspect is one of the things I loved the most. And also the vicinity of many natural beauties of the Yucatan peninsula and the archaeological sites, one of my passions. In Cancun there are two, less known and less visited and a brand new anthropology museum, small, but still very informative. It’s also the fact that I was 15 minutes from the airport for a last minute escape, which made it a great place to live. What is your favourite thing to do in Cancun with a day off? I loved to go to Isla Blanca, which is a stunning unspoiled hidden white sand beach 15 minutes drive from Cancun. 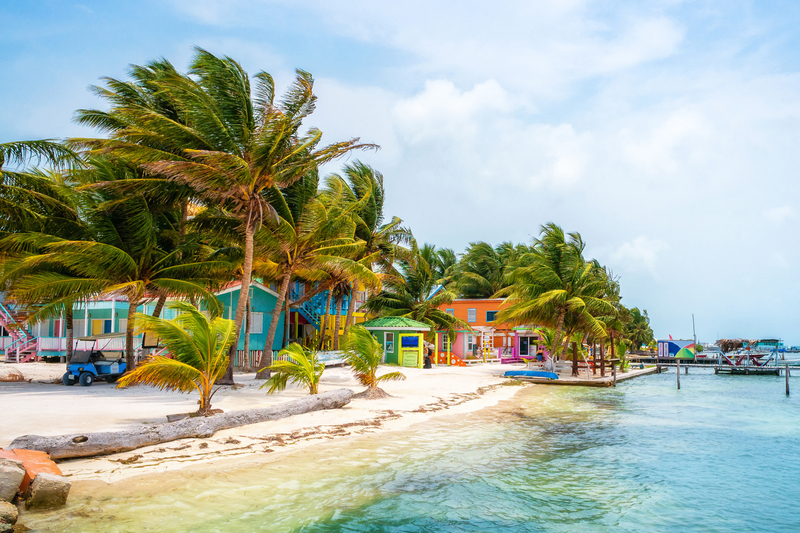 Alternatively, to head to Puerto Morelos, a quirky fishing village that has become quite an attraction among the locals for its quiet beaches and lovely restaurants. However, I loved it mostly for the Ruta de Los cenotes, a road that goes inland and takes you to many different cenotes, an oasis and a miracle of nature to me. If I didn’t have too much time, I loved to visit one of the closest beaches, Playa Langosta, but not on Sundays or any other holidays as it would be packed with people, and I love peace and quiet! What in your opinion is the one thing you can’t miss when you visit Cancun? 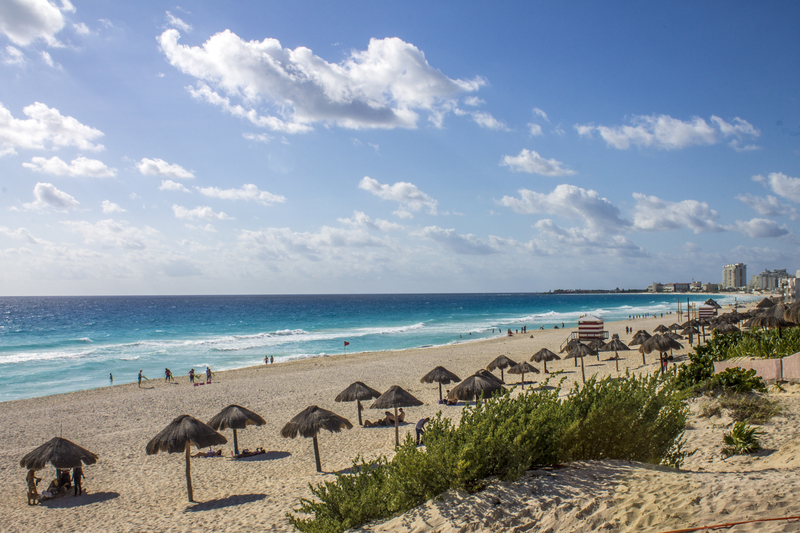 The first thing, the highlight of Cancun, is without a doubt the beach – a 20 km long uninterrupted white sand beach. In some parts, it’s a bit dangerous to swim as the current can be tricky. But if you stay by the shore it’s safe and there are always lifeguards. The multiple shades of blue in the water are unbelievable. Also, I would suggest a trip to Isla Mujeres either by ferry or by a tour as the water takes a whole different nuance offshore. Snorkelling or Diving also (if you can) are a must. On rainy days it’s always a bit tricky. It always depends on your attitude. There are shopping malls which to me are not particularly interesting. But if you want to buy some souvenirs you can take advantage of that and do it then. There are cinemas which are normally in the original language so that is always a safety net when the weather is not the best. Also, the Anthropological museum is quite nice. And of course, there are lots of local restaurants and bars where you can go and hang out. See below! There are so many, but if I have to pick one or two, my favourite is Sirena Morena, for breakfast or lunch. It’s located in downtown. I love the veggie-friendly menu and the architecture as it is inside a courtyard with lots of attention to the details of the decorations. For dinner, I love La funda de Zacundo. Not so much for the menu, because it doesn’t have a huge vegetarian option, but the setting is really pretty. It’s in a courtyard with beautiful vintage decorations. I am obsessed with that. Another place is Mora Mora, which is an urban cuisine place. You need to make a reservation and ask for precise directions so that they expect you because from outside it doesn’t look like a restaurant and you would miss it. I love it at night because, besides offering a vegan /vegetarian menu, they always have artists shows and good music. I am not good at suggesting beer or cocktail places because I don’ t like beer and I don’t normally fancy cocktails, but I always go for a glass of wine… or two! I Love El Rincon del Vino. It’s a tiny place but with good wine, Spanish tapas and good live music at the weekend. Of course, there are many more. Irish pubs are very popular for example and a jazz bar as well, which I like. 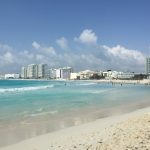 Is there one thing not many people know about Cancun? Not many people know that on the other side of the road opposite to the sea, there is the Nichupte’ lagoon which is a great place to go paddleboarding and kayaking, great for bird watching or just to have fun. Also, I need to say that although Cancun is a beautiful place to spend your holiday, it doesn’t’ show you the real Mexico. My most heartfelt advice is to rent a car or go on a tour and explore the surrounding areas. For example, besides the one mentioned above, Puerto Morelos and Isla Blanca, the quaint colonial town of Valladolid is situated at 2 hours from Cancun and close to many cenotes as well. On the stretch of road from Playa del Carmen to Tulum there are some of the most beautiful beaches, like Akumal where you can swim with turtles or Xpu-ha, my favourite which is a one and a half drive. 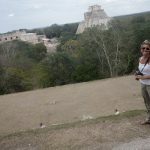 I talk about all the things one can do in the Yucatan Peninsula very extensively in my blog. Visit the Mercado 23 and Mercado 28 which are located in downtown. There is a bus that goes from the Zona hotel straight there. Or you can take a taxi. Mercado 28 is made for tourists and sells only souvenirs but it’s nice to look around. However, Mercado 23 is where locals go to do their grocery shopping and buy any sort of stuff. It’s fun to go there. I used to go quite often. 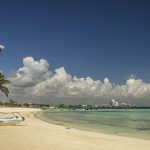 If you would like to read more about Cancun and the surrounding area, you can visit Isabella’s website https://www.boundlessroads.com. I also read this great article about the MUSA underwater museum – somewhere a bit different to add to your diving bucket list! Have you been to Cancun yourself? Do you have any tips to add? Or perhaps you are planning a trip there? I’d love to hear from you! Next ArticleAnti Malaria Tablets – Would you travel without them? I really appreciate your post. I am planning my first trip to Mexico, Cancun specifically. I am wanting to semi retire there so I will be checking out the local clubs to see if I can find work singing. Thanks for the great info! Thats awesome! I hope you’ll have the most amazing time and good luck!! !